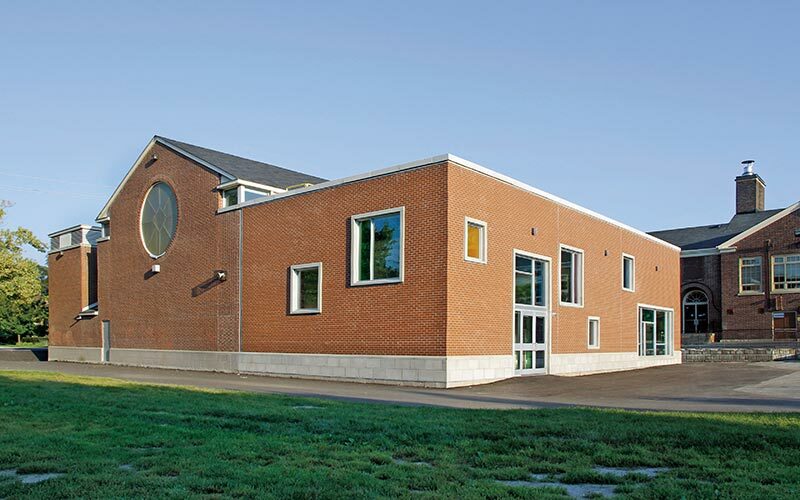 This 2,400 square foot multi-purpose room addition to an existing gymnasium was developed in response to a program that initially called for a two classroom addition to the existing school. Through an interactive Local School Community Design Team process, it was determined that a better distribution of program would be to renovate the existing lunchroom into two classrooms and to replace the lunchroom with the new multi-purpose room. By completely removing the end wall of the existing gym, the addition will allow for the flexibility of larger assemblies, as well as more options for community use. A solid retractable partition and a separate entrance from the shared foyer will permit the multi-purpose room to be closed off from the gym, for use as a lunchroom, music room and other functions. 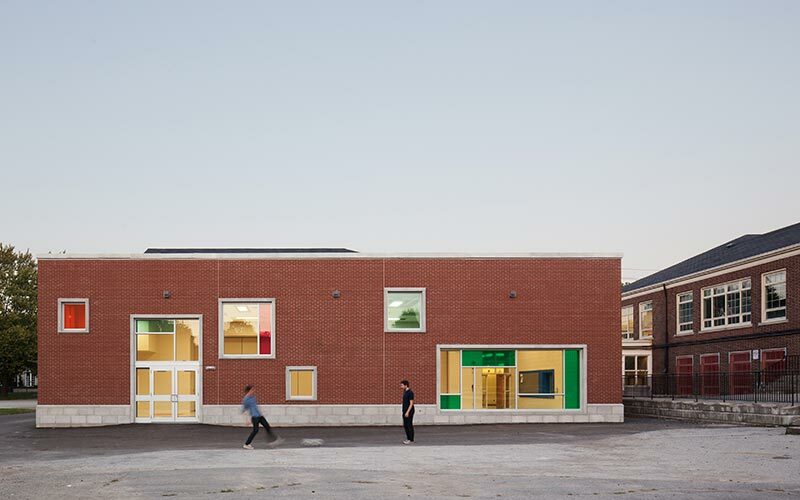 The addition is designed as a simple brick box that ties visually into the existing gym, yet also distinguishes itself by a random play of windows that “dance” across the facades, creating a whimsical composition. 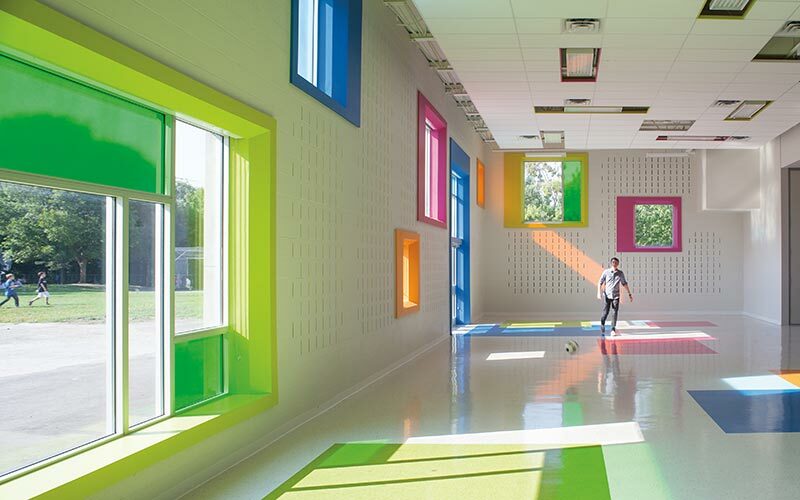 Inside, these windows are framed by deep surrounds of colour. 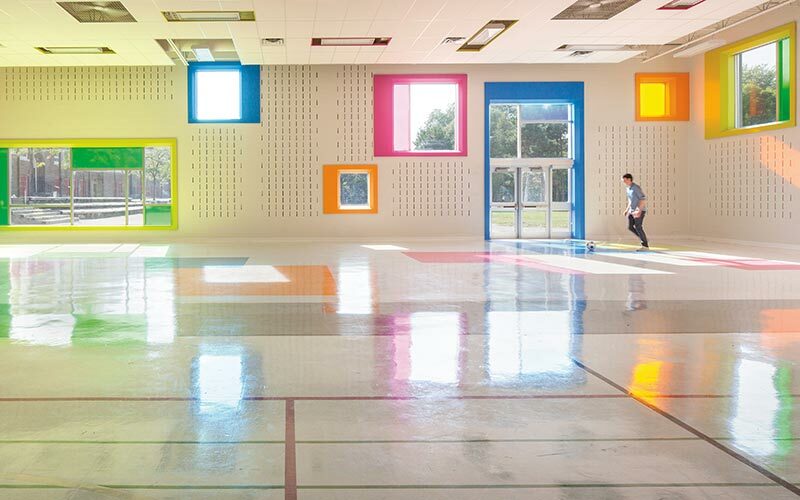 The use of colour to animate the space is also carried onto the floor pattern, as well as with the use of different coloured window films that will be applied to portions of the windows, casting coloured shadows onto the floor as the sun moves around the building.